Looking for a quick and easy back to school dinner? 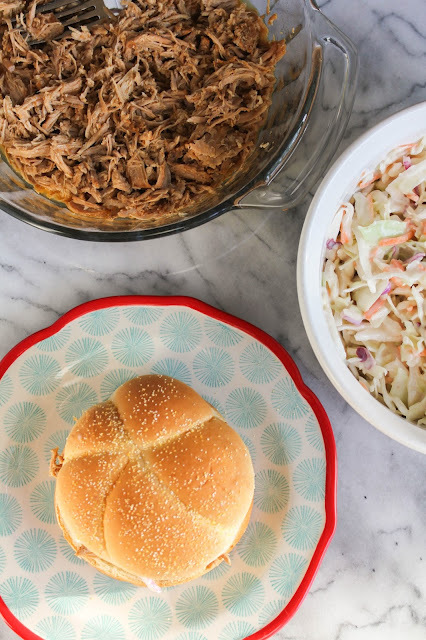 These shredded pork sandwiches, made in the slow cooker with a delicious marinated pork sirloin, are topped with a homemade spicy slaw and are perfect any night of the week! With a few weeks of the new school year under our belt, we are finally back to our usual routines. Back to early morning wake ups, football practices, homework, football games, parents meetings, and all the other usual stuff that accompanies the school year. For me that means a lot of pre-planning. 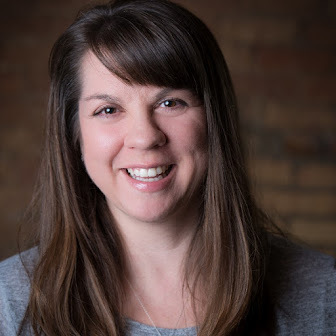 Whether it's laying out clothes the night before, getting a head start on packing lunches, or thinking about tomorrow nights dinner, I always try to get a jump on the day ahead. I turn to my slow cooker all the time during the busy week because let's be real, delicious meals shouldn't have to be hard! Don't you agree? This recipe for shredded pork and spicy slaw sandwiches is a new favorite with the family. Perfect for any day of the week, it tastes amazing and can be on your table in minutes. Have you tried any of the Smithfield® Foods Marinated Pork products yet? With varieties like garlic and herb, applewood topped bacon, and peppercorn and garlic, there is something for everyone to love. My shredded pork sandwiches feature the Smithfield® Golden Rotisserie Pork Sirloin, and the flavor is so good on it's own that it needs no other seasonings or marinades at all. The slow cooker does the work for you as it cooks the pork all day until it's basically falling apart. All you need are two forks to gently shred it and it's done. I made a very simple, slightly spicy, homemade coleslaw to top the sandwiches. The slaw can be made the night before, so when you're ready to eat it's all about the assembly and nothing more. This is a great back to school recipe, but it's also perfect on the weekends, too. 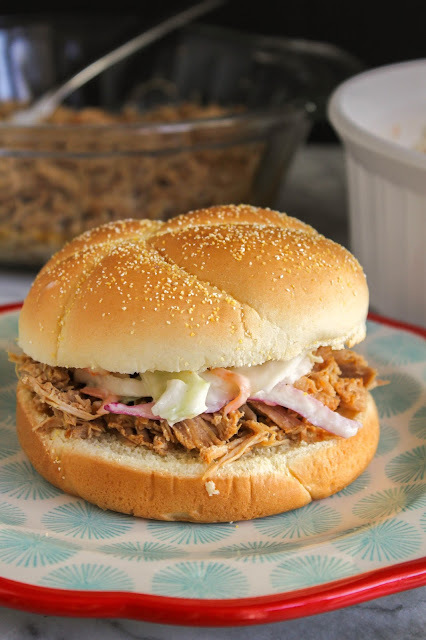 I mean, who wouldn't love eating one of these pork and slaw sandwiches while watching their favorite team playing football? I know my family would! I found the whole line of Smithfield® Foods Marinated Pork products at my local Walmart, which is where I picked up my pork sirloin as well as the rest of the ingredients I needed for this recipe. 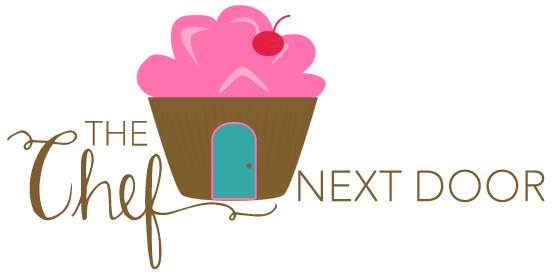 Be sure to visit DeliciousinMinutes.com for easy recipes, great for any night of the week, and also share your favorite recipes with friends to earn additional entries into the $5,000 kitchen makeover sweepstakes while supplies last! You can also learn more about Smithfield® by following them on Facebook, Twitter, Pinterest, Instagram and YouTube. 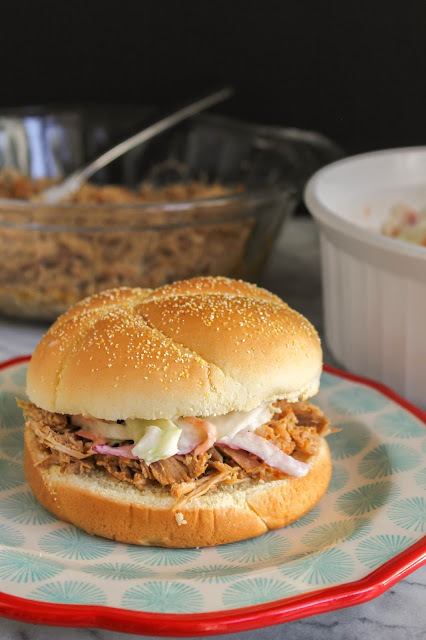 Now who's ready to make some fabulous pork and slaw sandwiches?! Place the pork sirloin in the pot of a slow cooker, making sure to empty all of the juices from the package in there as well. Cook the pork on Low for 4-5 hours, or on High for 3 hours. Make the coleslaw. Empty the shredded slaw into a large serving bowl. Add the remaining ingredients to a medium bowl and whisk until smooth. Taste and adjust seasonings, if needed. If you want it spicier, add a little more Sriracha. Pour the dressing over the slaw and toss to combine well. 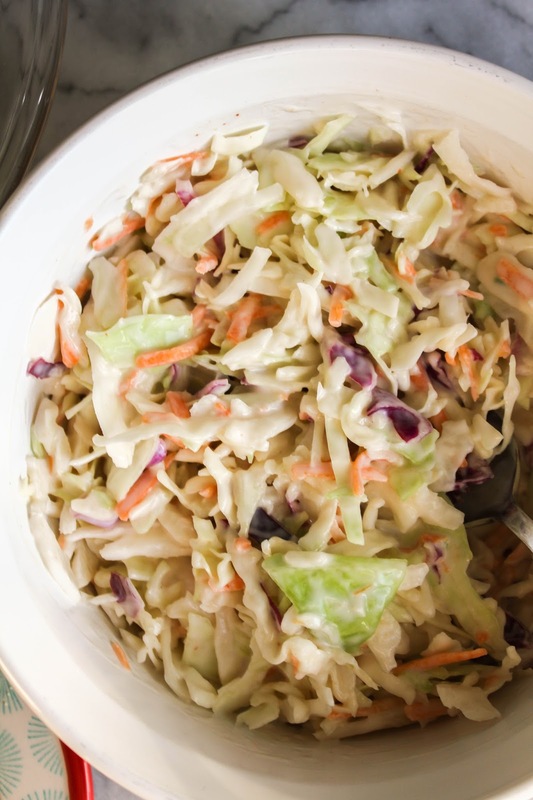 The slaw can be made up to 24 hours ahead of time, just keep it covered and stored in the refrigerator. 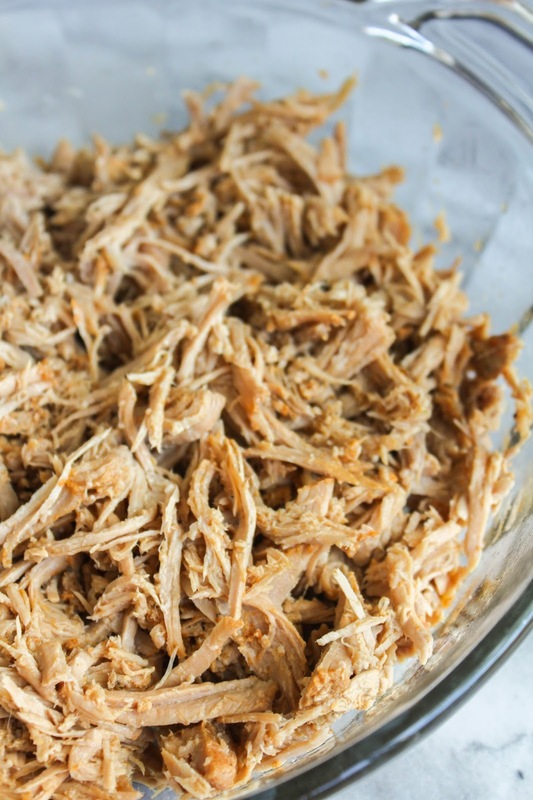 When the pork is done, remove it from the slow cooker and place it on a cutting board. Using two forks, shred the pork and place it in a bowl. Assemble the sandwiches by placing a couple of large spoonfuls of the shredded pork on the bottom of a Kaiser roll, followed by a scoop of the slaw, followed by the top bun. Assemble all the sandwiches and serve.